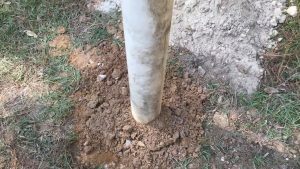 This video shows How to dig a shallow well on your property from dowsing to digging to capping. This shallow well will provide water for our bees and supporting plants. This dig uses a modified hand auger and took about 4 hours to complete (17 feet with nearly 4 feet of water).Learning how to dig a well is a good lesson that every prepper should master.Even if it doesn’t come to a survival scenario, having your own water supply means that you’re basically off the grid. You’re not dependent upon third parties.